Laid-back business appointments in Steamboat Springs often fill the cozy downtown coffee shops during late mornings, but the town also is home to state-of-the art conference facilities that can accommodate hundreds of participants. The town hosts everything from medical and legal continuing education conferences to scientific research groups, from employee retreats to board of directors meetings. The Steamboat Grand Hotel, for example, hosts some 175 events per year supported by a hotel with 328 guest rooms. Team-building activities are popular in Steamboat Springs and can be tailored to activity levels. Groups can take a low-key gondola ride to a mountain-top dinner or a soak in the local hot springs, or plan a more active day of golfing, skiing or snowmobiling. 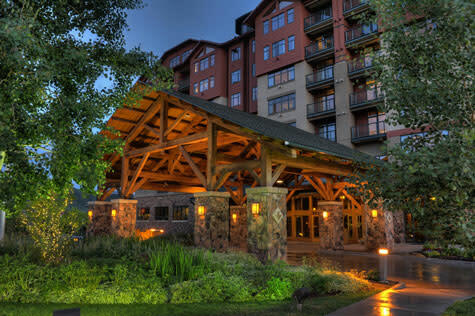 What sets Steamboat apart from other destinations is the warm Western hospitality. In town on Lincoln Ave. Please click here for more information on lodging with event space and space for weddings and groups.